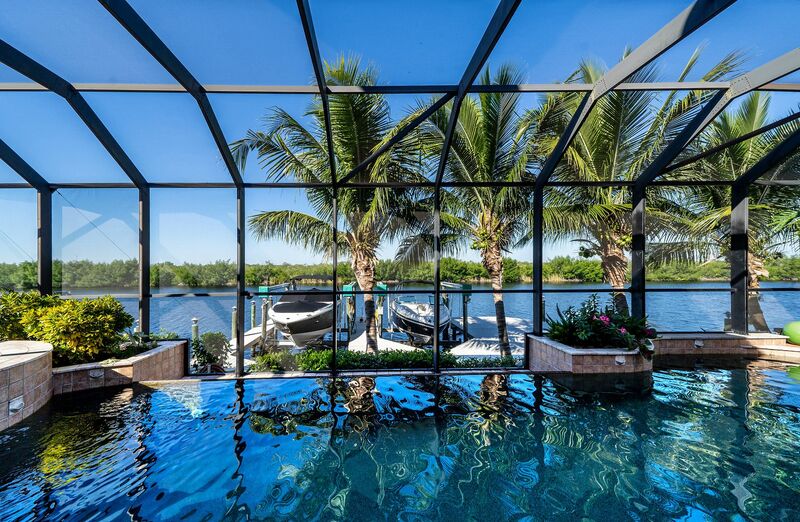 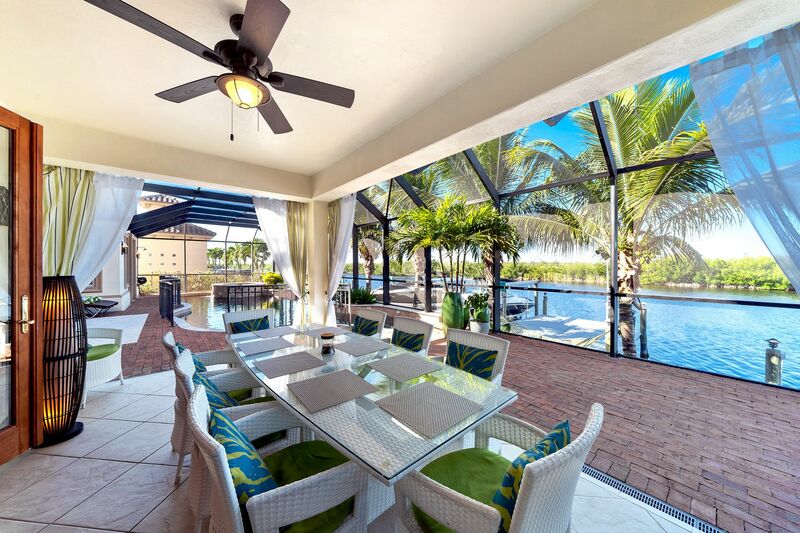 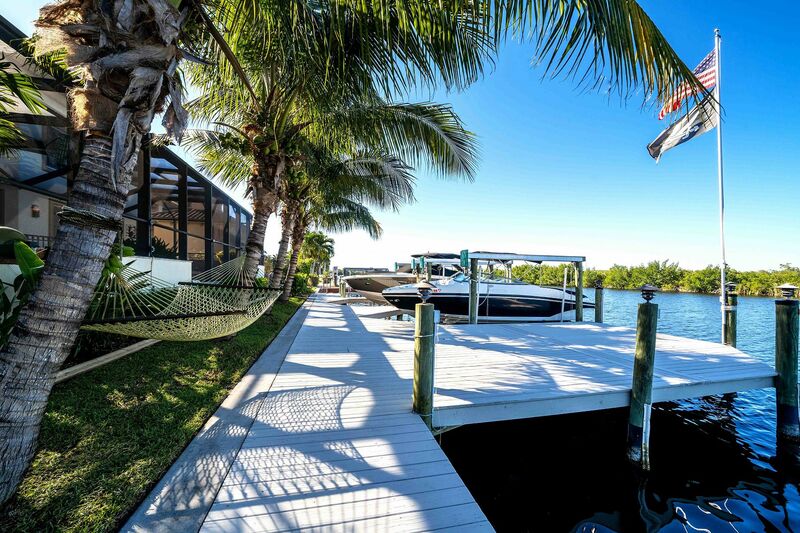 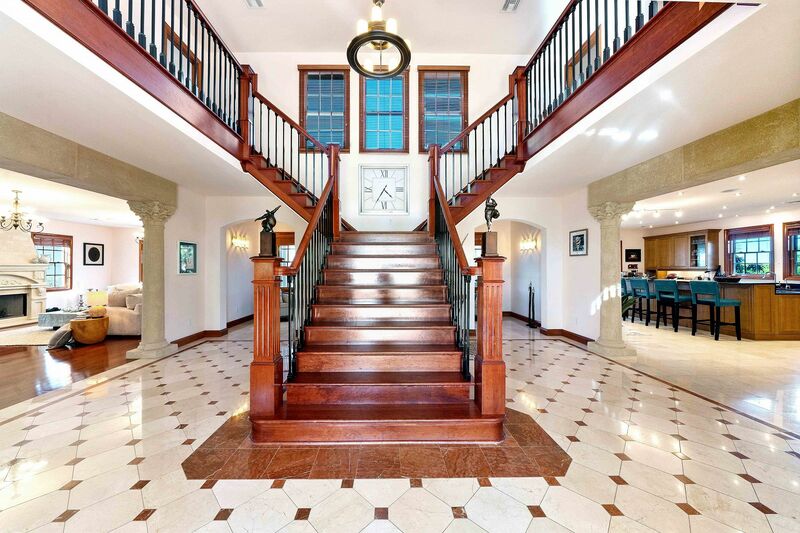 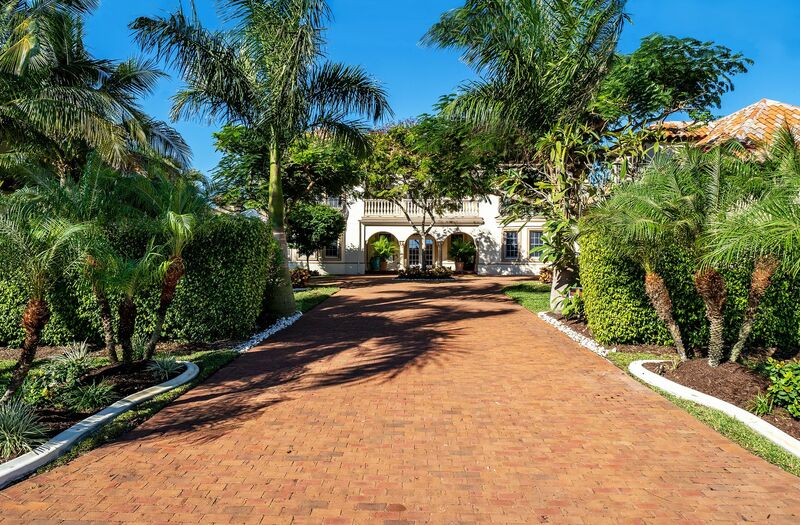 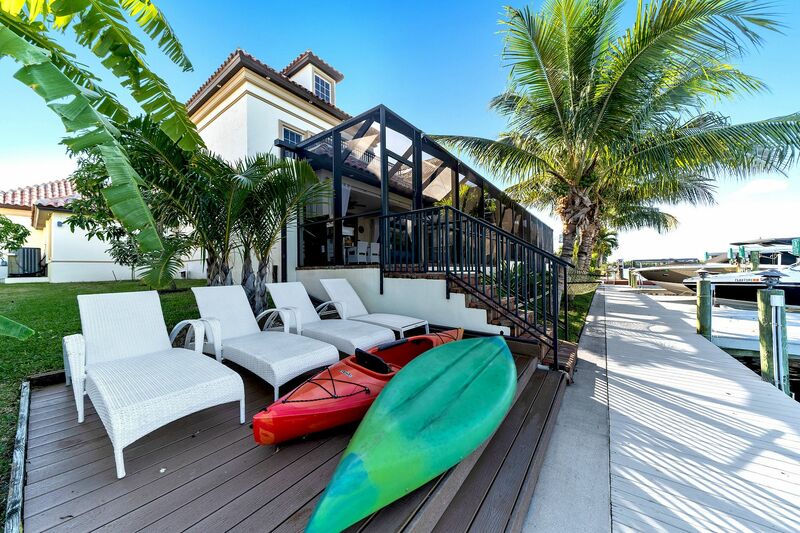 This generously apportioned villa is located directly on the waterfront in Cape Coral, Florida. 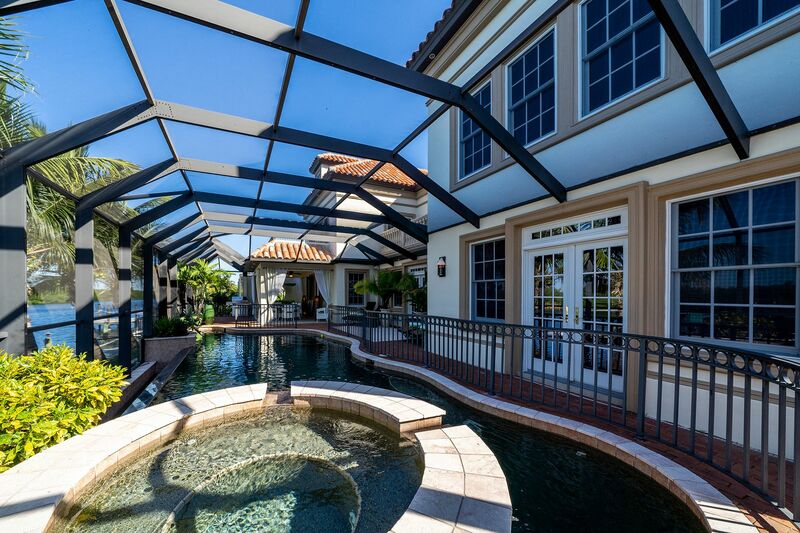 Built by a prestigious Florida building firm, the 730 sq. 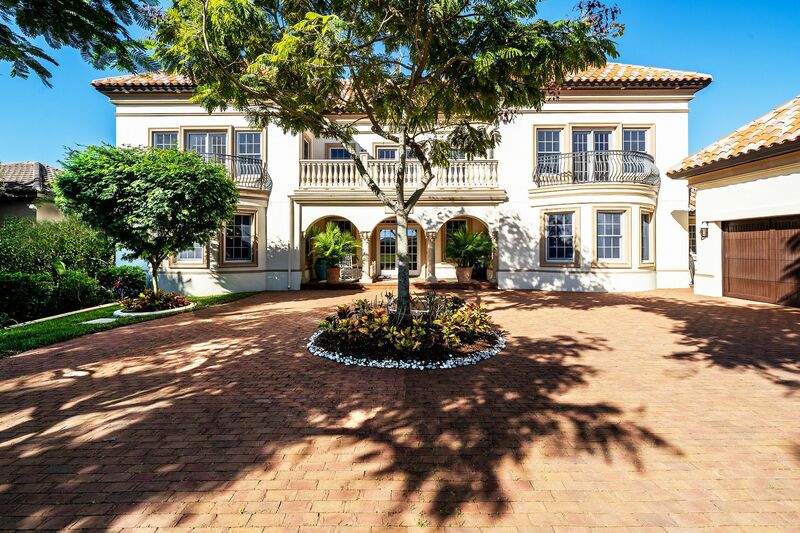 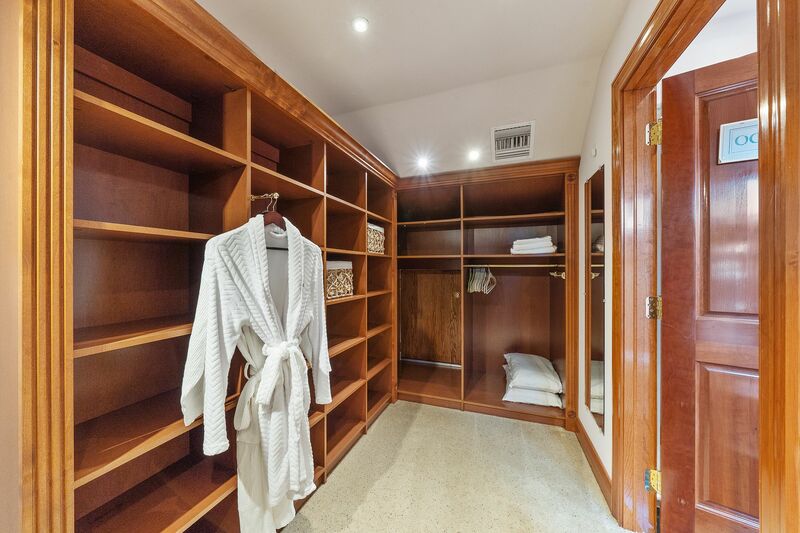 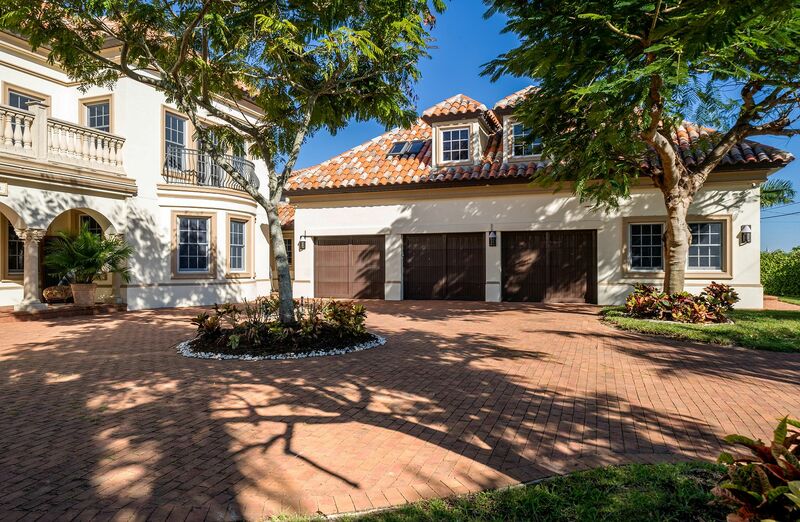 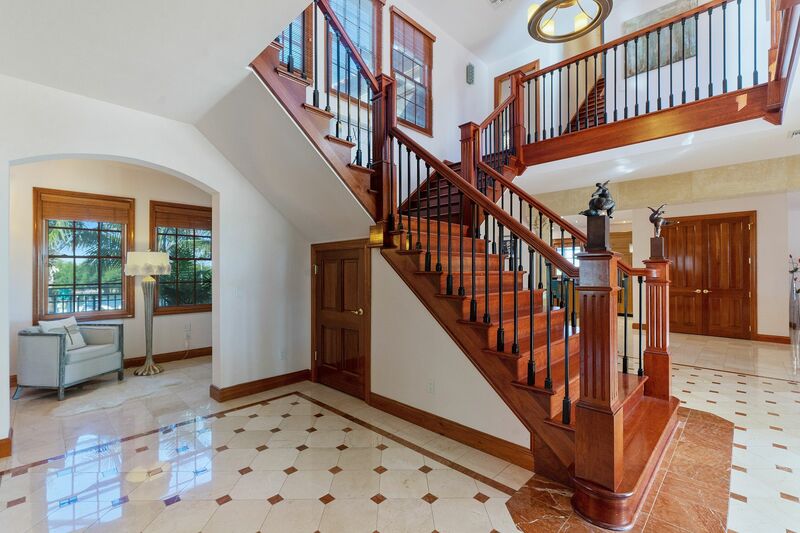 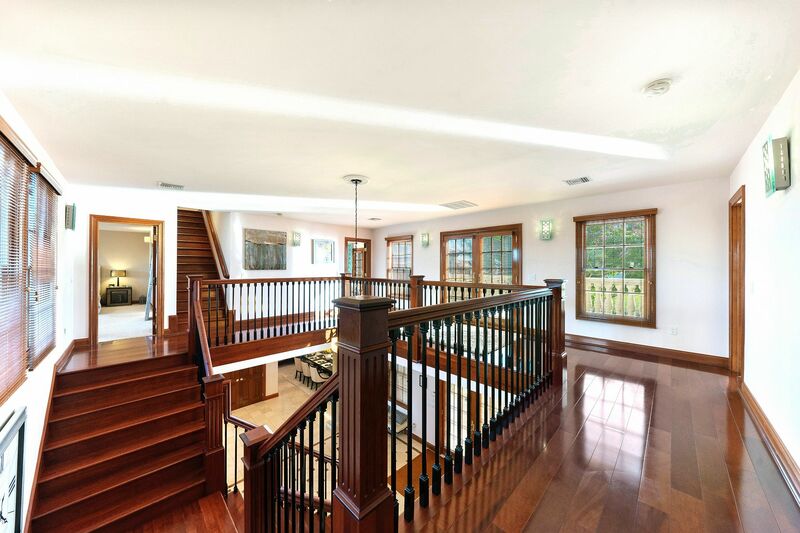 m. villa has 6 bedrooms, 7 bathrooms, a laundry room, a pool, and a three-car garage. 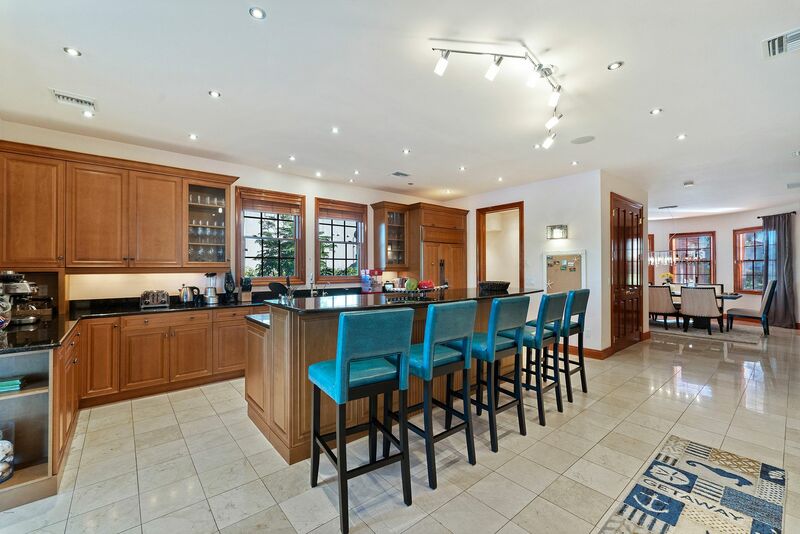 Sumptuously designed with many high-end features, it was recently extensively upgraded with 21st century technology, such the Amazon Alexa smart home control system and a sophisticated home security system. 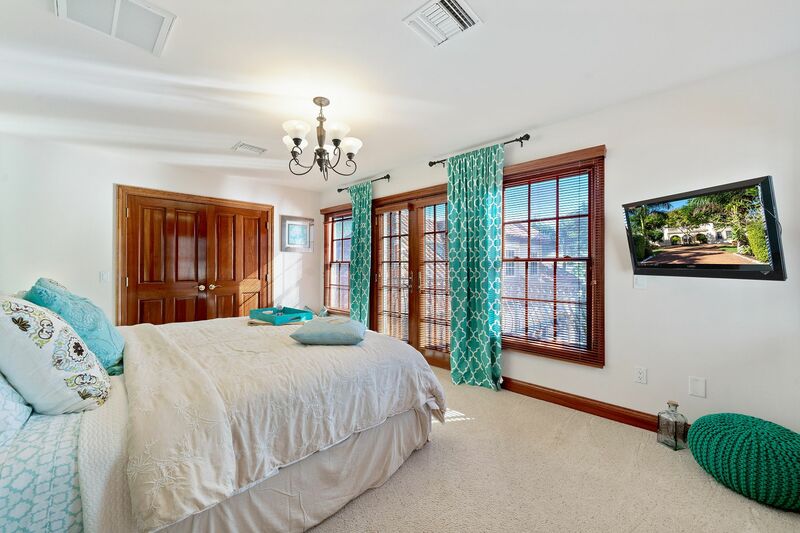 The entire house is air-conditioned and boasts indoor and outdoor wireless high-speed internet. 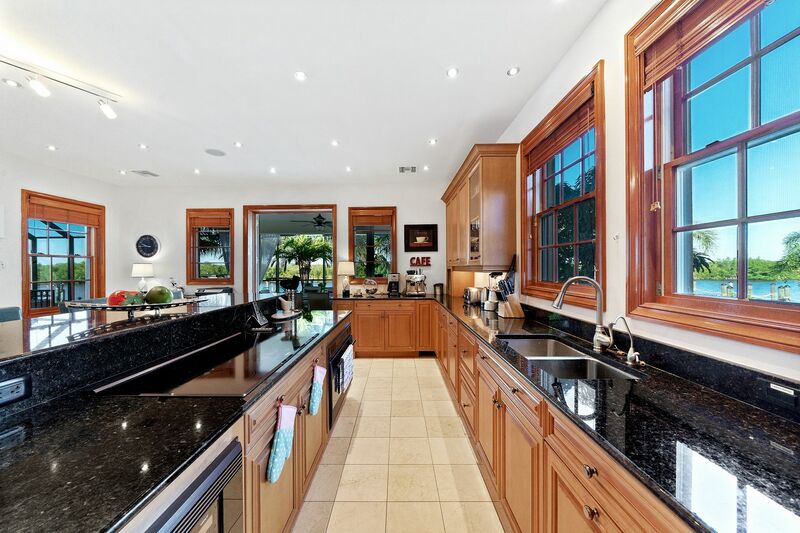 The fully fitted kitchen has custom made cabinets, granite counter tops, and brand name appliances, and opens onto a spacious dining room as well as outside dining area with a grill. 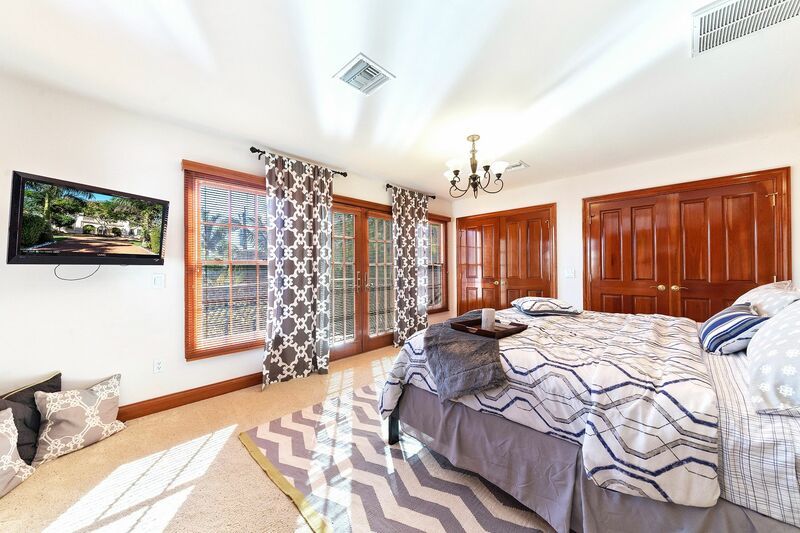 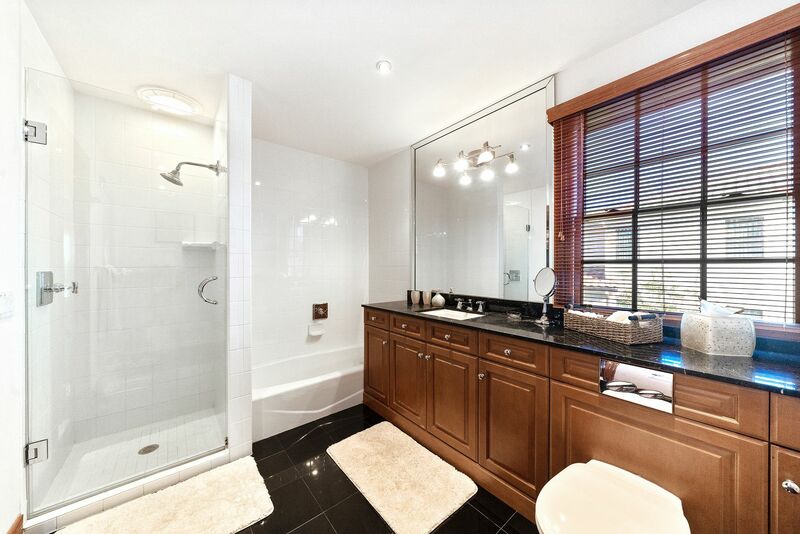 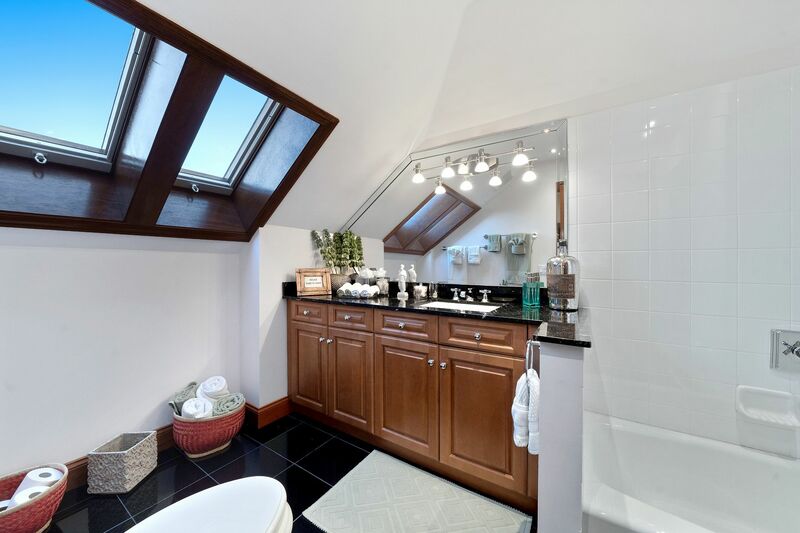 All of the bedrooms have walk-in closets and en-suite bathrooms. 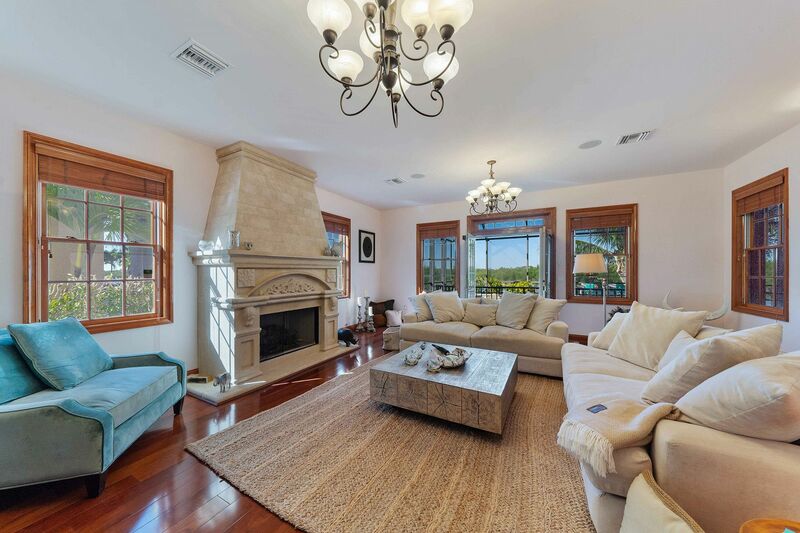 The spacious living room is handsomely furnished and has a fireplace. 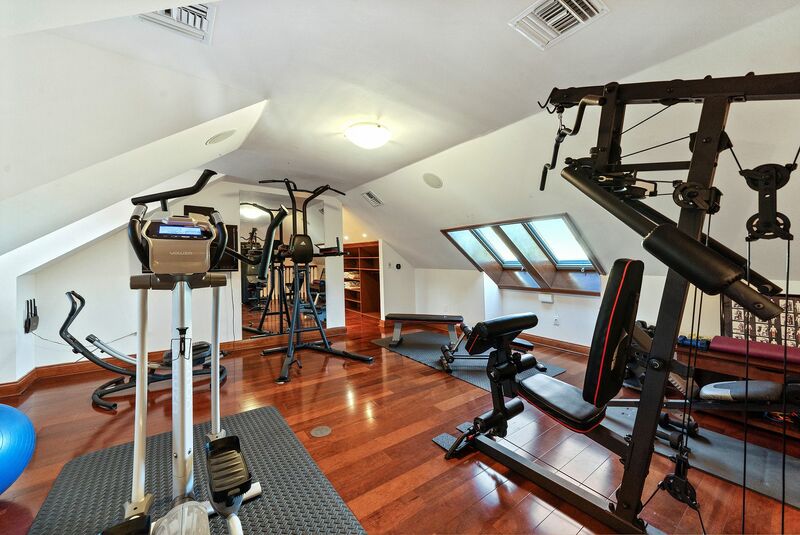 The house includes a fitness center and is surrounded by a beautifully landscaped tropical garden. There is a gorgeous negative edge pool on the property, as well as a wharf with two boat lifts. 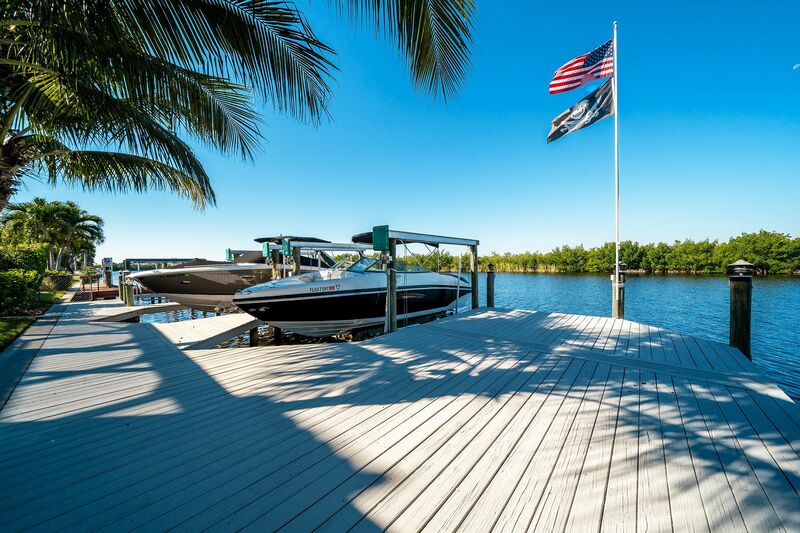 Coral Cables on Florida’s sunny Gulf of Mexico coast is home to many beautiful canals, beaches, parks, and golf courses.